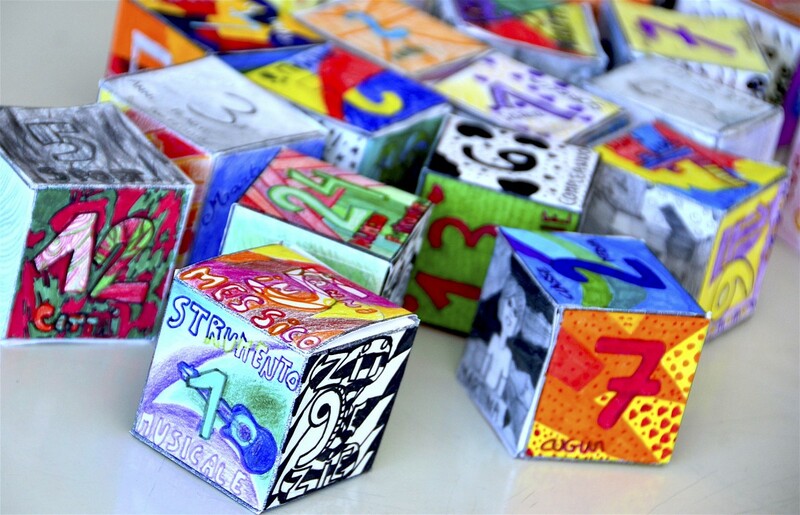 Can we introduce ourselves with numbers? 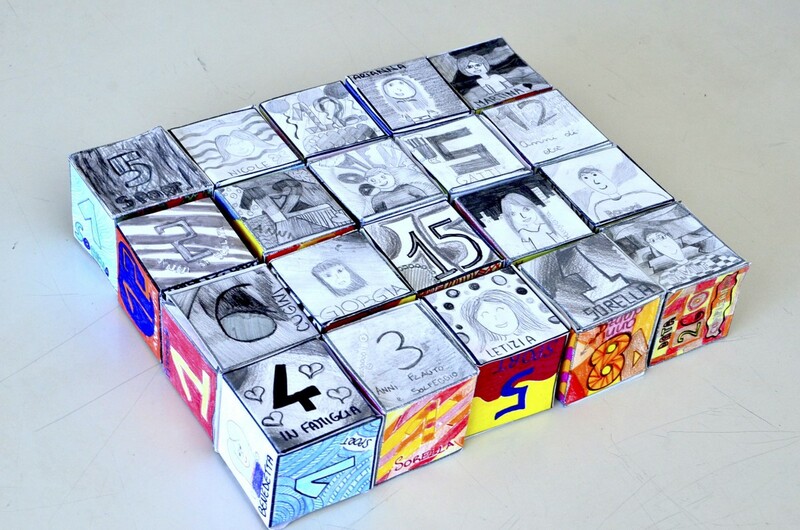 We can do it on the 6 sides of a cube! 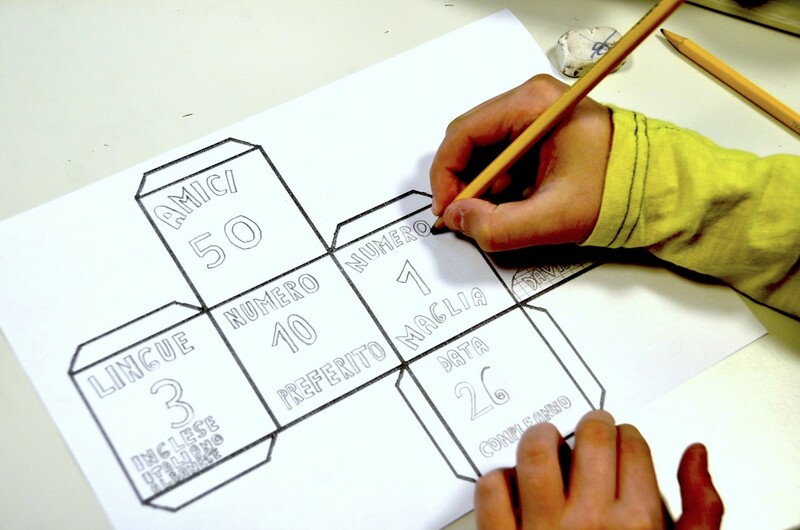 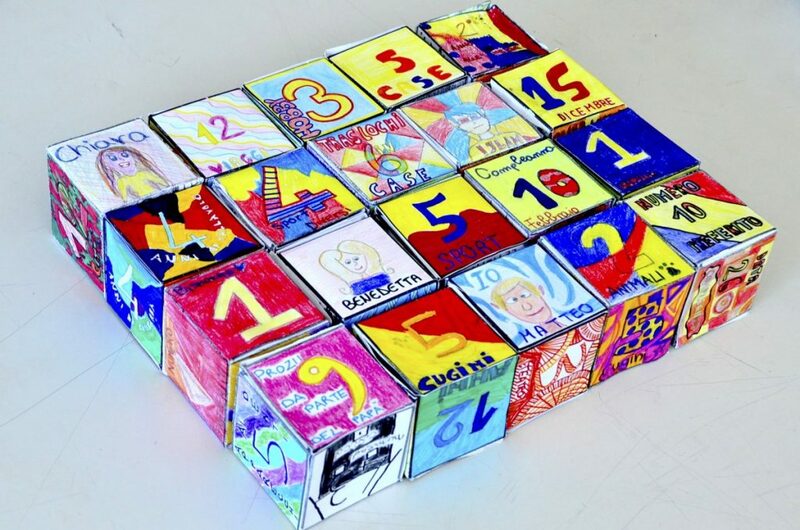 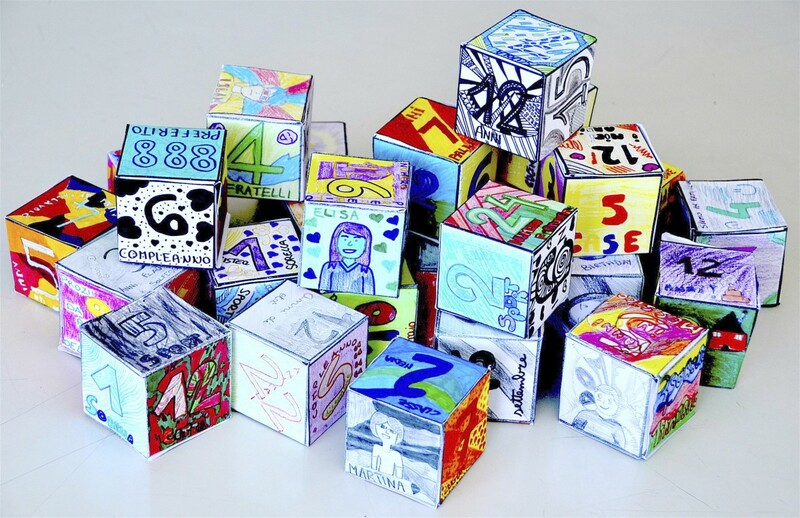 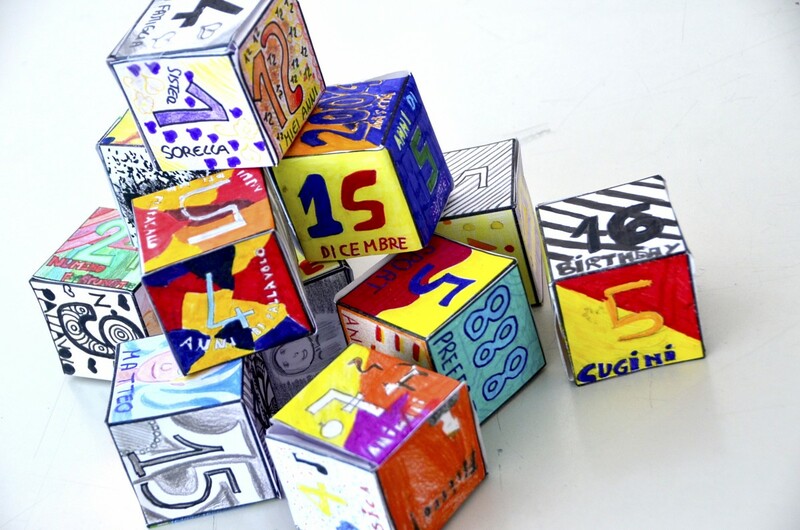 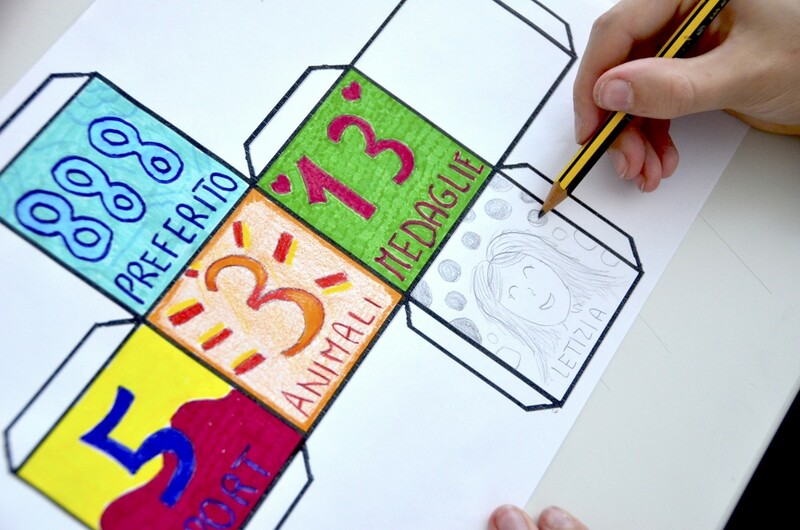 We called this activity I-cube and we used numbers to explain our hobbies, our special numbers, our relatives and our favorite sports. 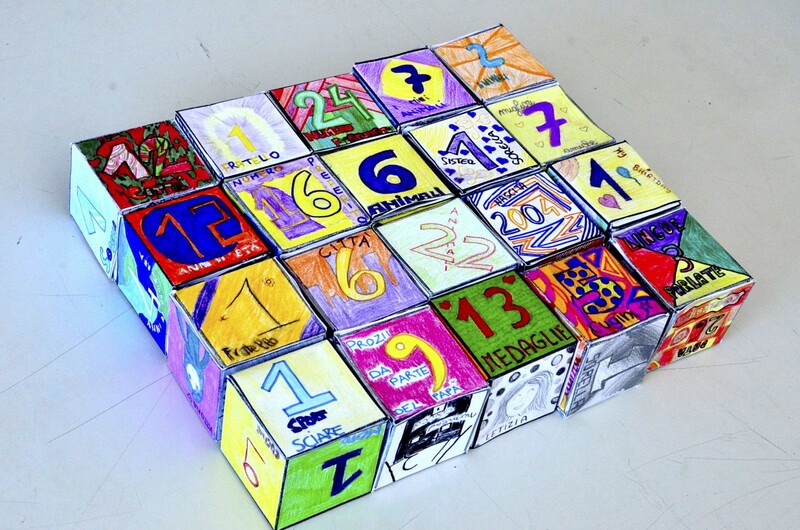 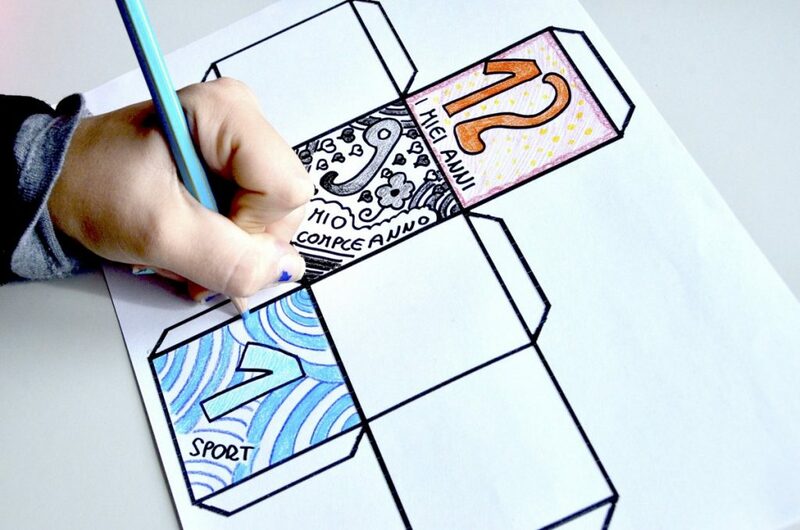 The cube is colored with crayons and felt-tip pens. 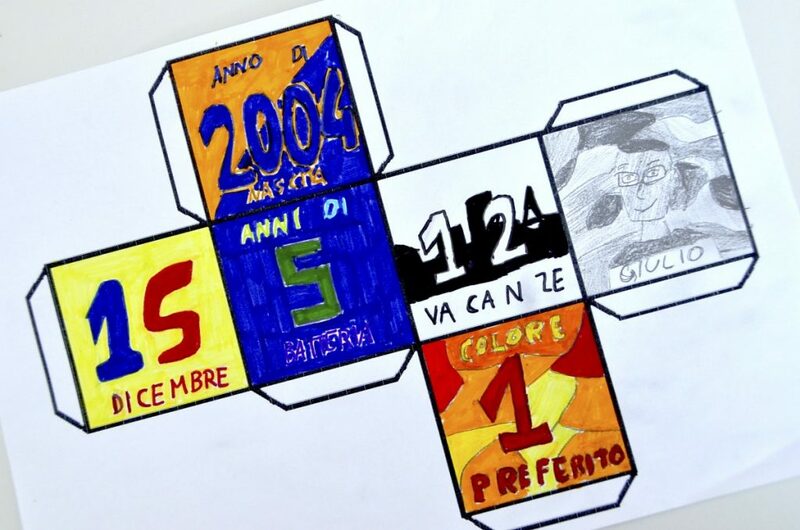 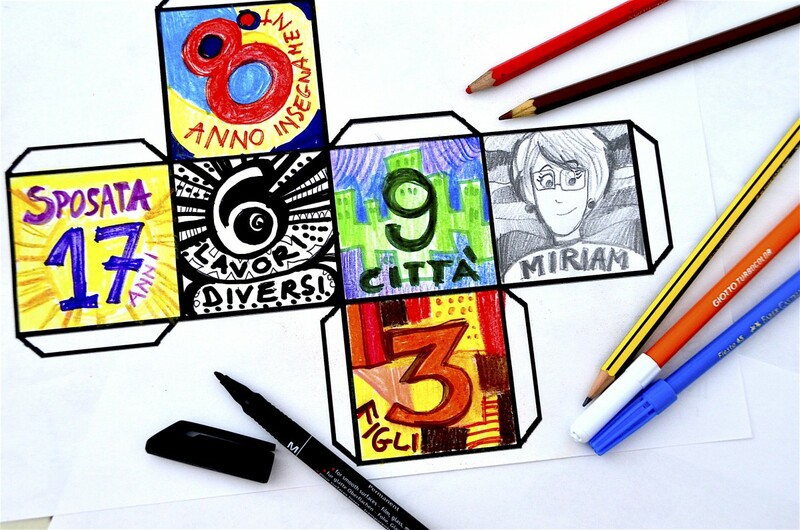 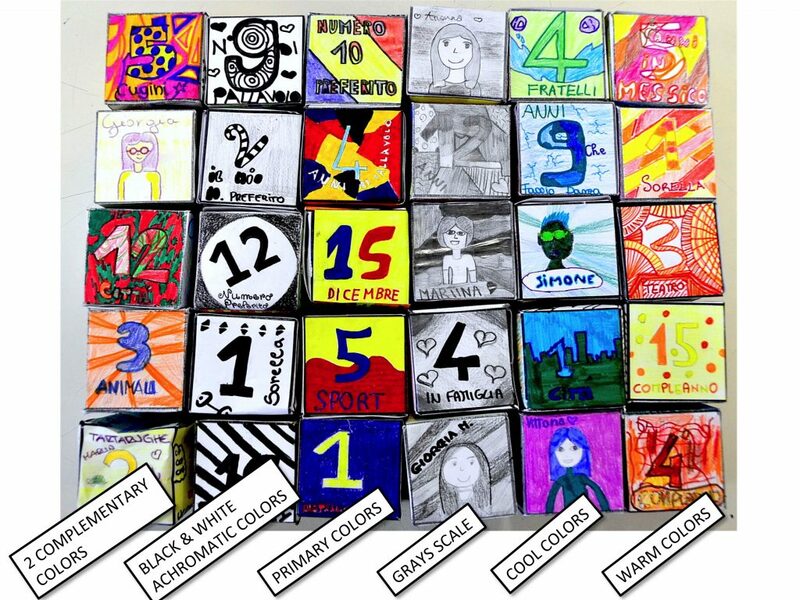 Every student has colored the sides with 5 different numbers that characterize him, and a little portrait with his own name. 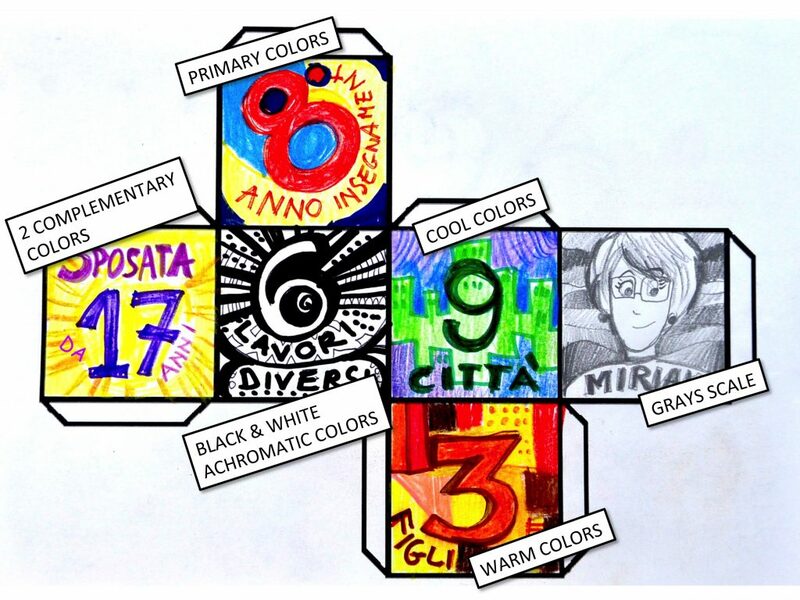 The choice of where to put numbers and colors was free. 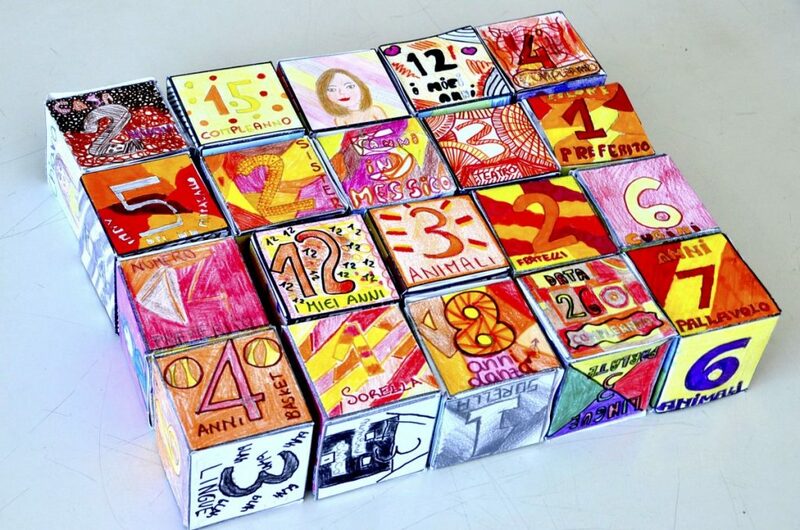 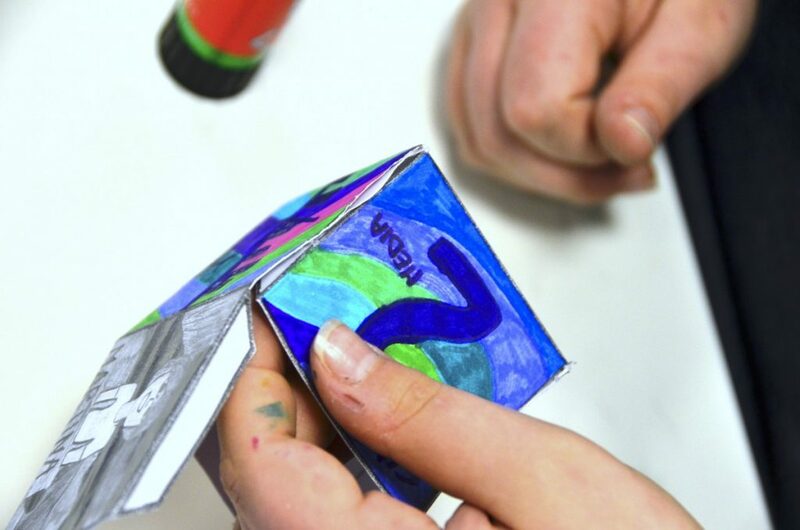 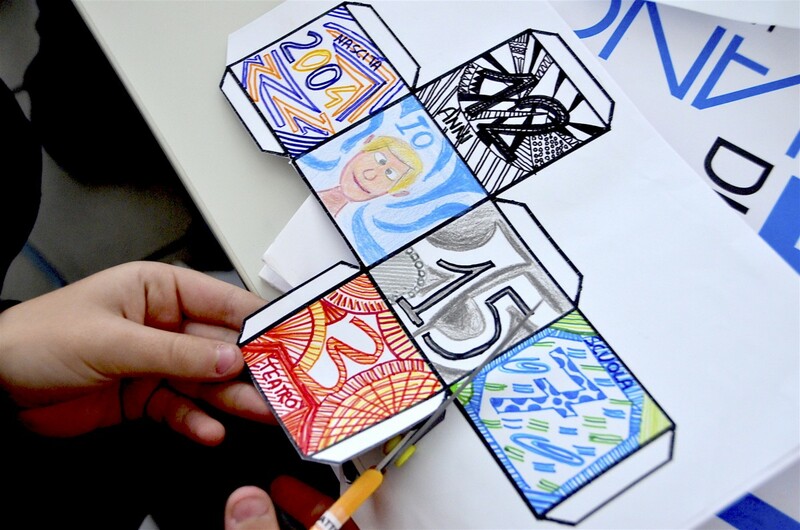 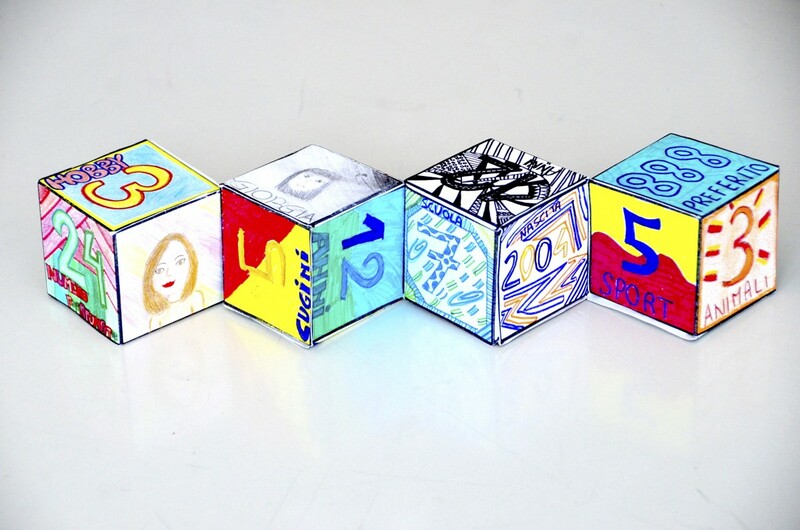 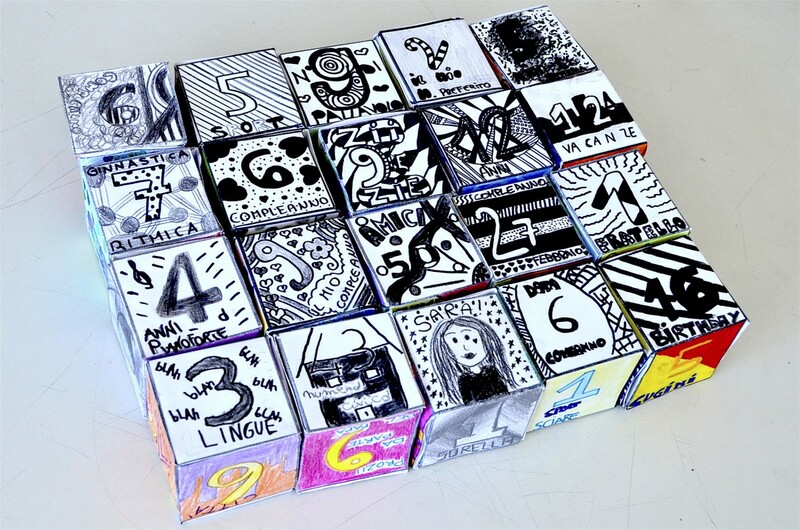 After drawing the cube, the students have pasted it on a cardboard, and have cut it out. 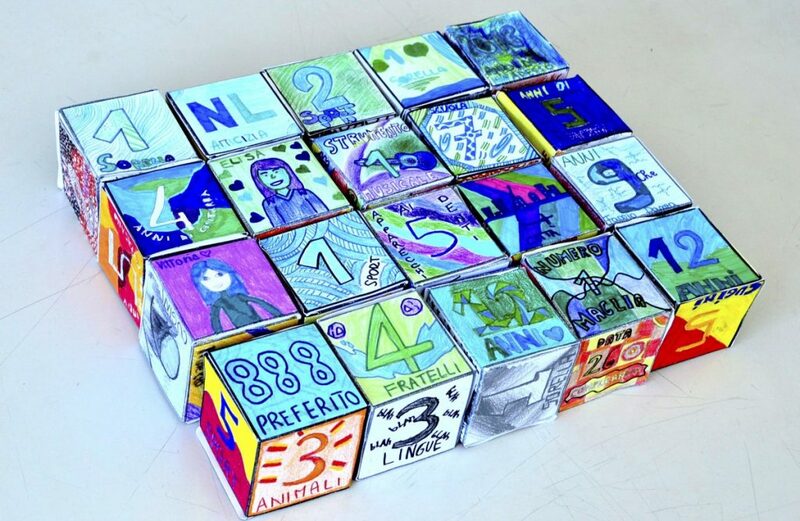 The last step was to glue the sides and assemble the cube. 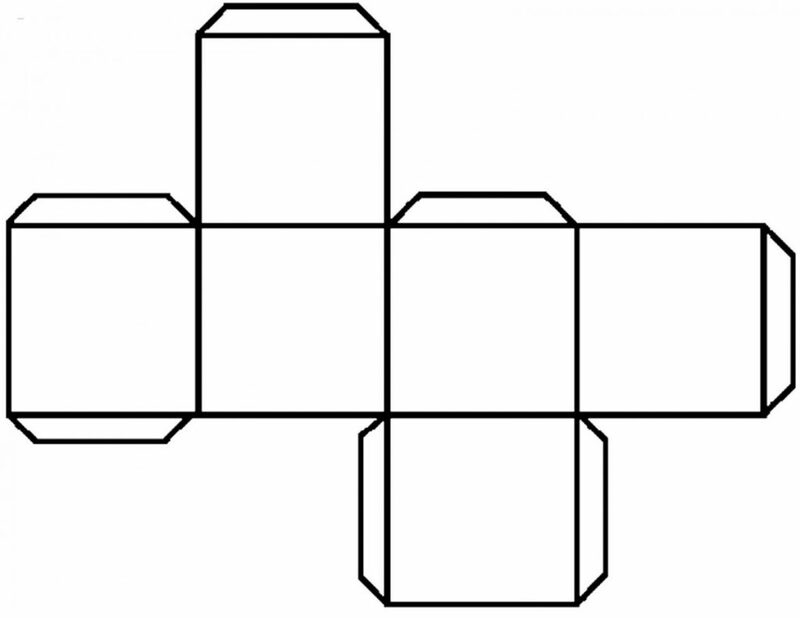 Here we have the template of the cube, ready to be printed and decorated.